It’s our second week of #classicchapterbooks with @the.book.report. Belle and Sébastien, written by Cécile Aubry, was originally published in 1965 to coincide with a television series of the same name. This edition was published last month by Alma Books, translated by Gregory Norminton and illustrated by Helen Stephens. 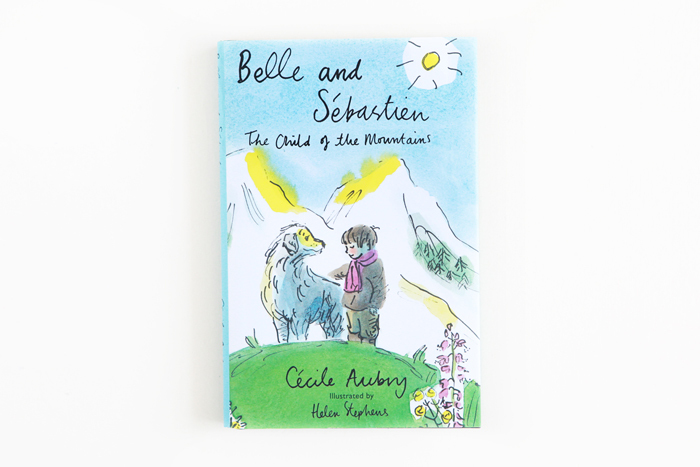 It's about a friendship between Sébastien, a little boy born as an orphan in the snowy Alps, and Belle, a big white Pyrenean Mountain dog. I’ve only started reading it this week and am enjoying getting lost in the writing. It’s a moving story so far and definitely takes you to another place in more ways than one.